Cryptocurrencies and stock prices grabbed most of the investment headlines in 2017. But by the end of 2018, a different asset class will spark investors’ attention. There are multiple reasons for that, starting with the fact that no trend or bull market lasts forever. But it’s about more than just the prolonged run in equities and runaway prices in cryptocurrencies. There are three specific developments that all point to 2018 being the year for a decisive breakout in gold: Gold should have fallen in 2017—instead it built a base; the ‘everything’ bubble is coming to an end; and the technical picture shows gold coiling for a big breakout. When will gold begin its surge? It will respond when uncertainty and fear creep back into the economy or markets, or any other surprise that catches investors off guard. 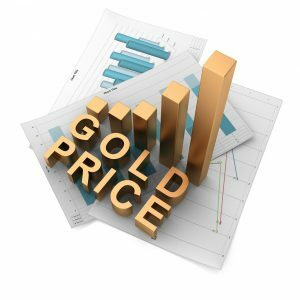 The next event that causes financial instability will likely be the spark that pushes gold out of its current range and kick-starts the next surge. Investors and protectors of family wealth must prepare for that shift. The best way to do that is to worry less about the price and more about how many ounces we own, and if they will be sufficient for the next crisis.